This is a sequel of last post about breakfast at Yonehana. After Yonehana, of course ! I went to my office to work. At first, I intended to have sashimi bowl or sushi at lunchtime, but Yonehana’s chef’s choice was bonito sashimi. So, I reconsidered about that. So, I crossed Kachidoki bridge again and went to Choseian. 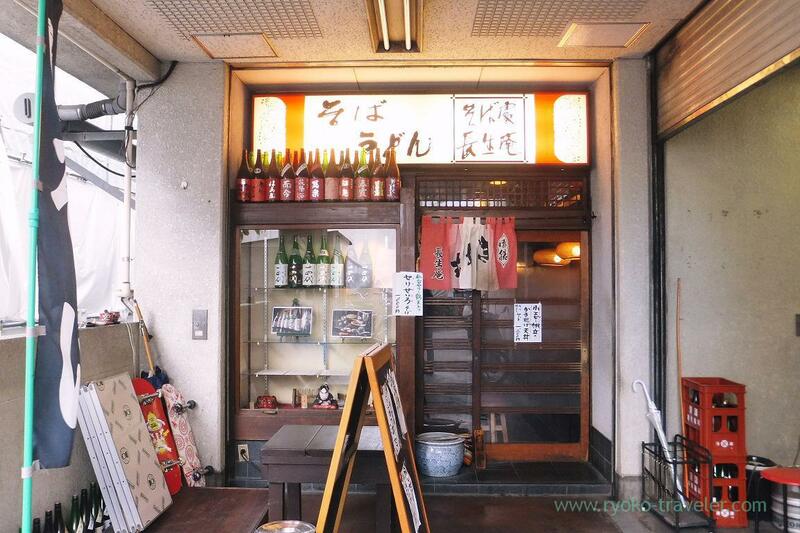 I was was also interested in the names of Dashi soba (Dashi is local pickled vegetables in Yamagata) and Seri (Japanese parsley) soba on the wall. But I wanted to eat meat all the same. 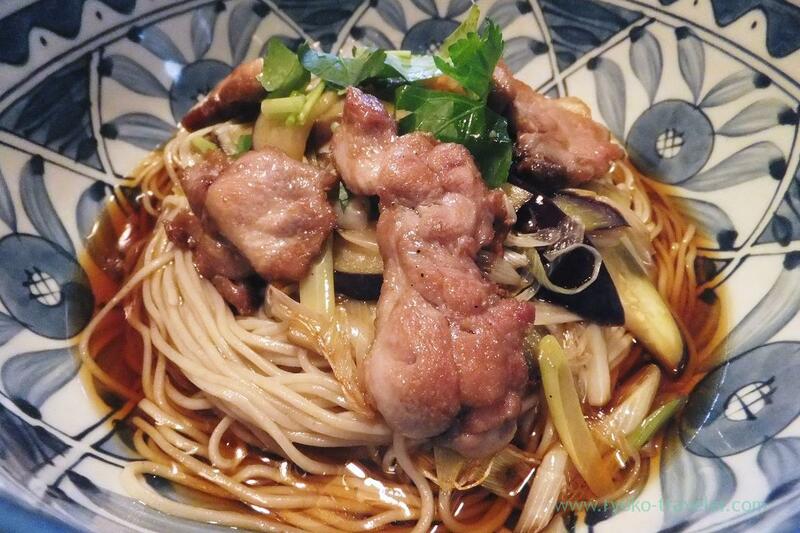 So, I ordered duck nanban cold soba (冷やし鴨南蛮そば, 1350 yen). Nanban means green onion. As its name, fried much green onions and eggplants on it. 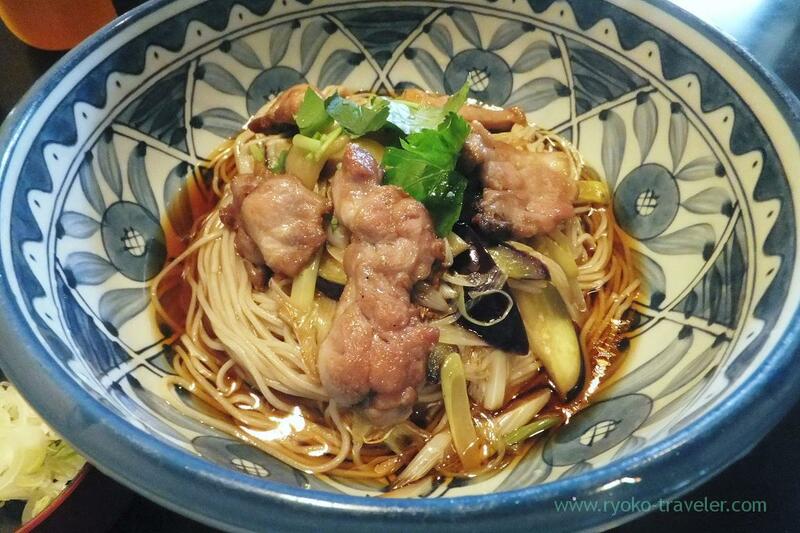 The name is cold soba, but because of hot fried vegetables and duck meat, the soba got lukewarm. The duck meats were juicy. 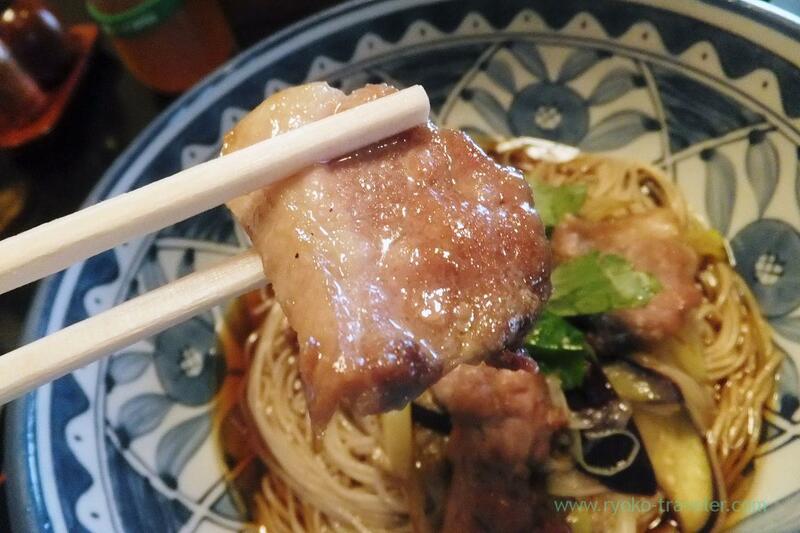 And this fat and oils coating vegetables added the soba more tasty. 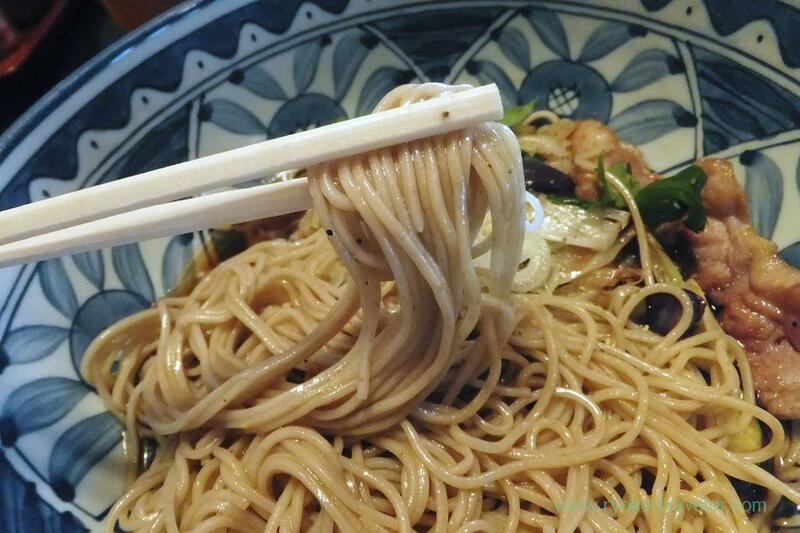 Choseian’s soba is narrow and soft. I like the texture.